Barbara Goodman joined the counseling staff at New Directions Counseling Center in 2002. She earned her Masters of Education in Counseling Psychology at Cambridge College. Barbara works with children, adolescents, and adults covering a broad spectrum of issues including self-esteem, bullying, peer pressures, parenting, trauma, abuse, loss and bereavement, depression, and anxiety. 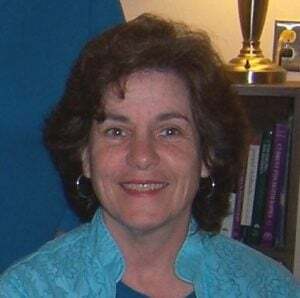 Barbara uses a variety of treatment options such as strength based and cognitive behavioral therapy, narrative therapy, mindfulness and meditation, and Christian counseling. She volunteered for many years with Boston Medical Center’s Good Grief program, a program designed to assist families dealing with the loss of a loved one. This required extensive training in dealing with loss and grief. Additionally, Barbara has helped facilitate discussion groups at Senior Centers on a wide range of topics such as holiday stress, maintaining independence, and the mental health benefits of reminiscing. Barbara has a gentle, empathic approach which enables her to connect with people of all ages and backgrounds. She is an avid sports enthusiast and enjoys many outdoor activities, she also studies Tai Chi. Please call 617-773-6203 ext. 12. Claire is our intake specialist and she will be able to help you.